I headed down to the bog this morning with my photography camp and we got about 20 minutes of photo taking before the second wave of rain came in. 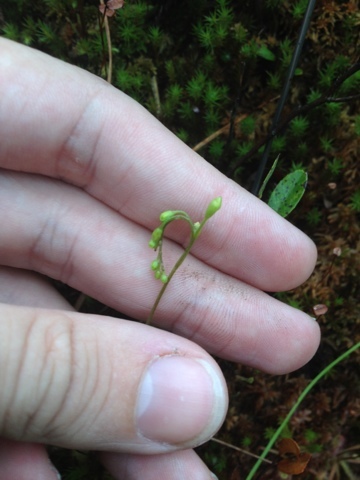 I found these delicate sundew flowers just about to open up. I apologize this question is unrelated to your most recent post but one in 2011 where you listed your favorite birds. After waiting 46 years (!) to see a red-headed woodpecker, I finally saw several this summer. Now I am on a quest to once again see a Scarlet Tanager as I have not done so in many years. You mentioned you work at a nature center where you have seen these birds - please let me know where that is so I can visit and any other helpful hints you have. Many thanks; great blog. Thank you! This is very helpful and I appreciate all the information. I used to see Scarlet Tanagers regularly in Wisconsin but it has been a long time! I love your blog!